Good news: Baguio City government will be fully implementing their “Plastic and Styrofoam-free Baguio Ordinance” this May, the Baguio Midland Courier reports. Even better news is that the plastic-free movement is being embraced positively by various sectors of Baguio—even the business sector, which will be most affected. 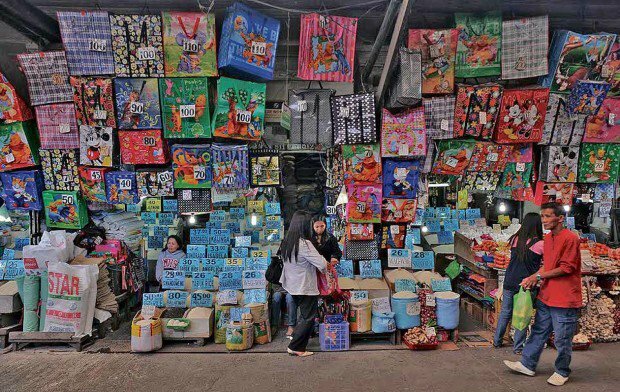 Stall holders and vendors at the city market have been reminded of the effectivity of the ordinance, and have been told to inform their customers to bring their own reusable bags by May. Stalls selling plastic bags have also been advised to change their line of business, as selling plastic bags will no longer be allowed. Photo by Ev Espiritu of Philippine Daily Inquirer. According to the Baguio Midland Courier, the ordinance will cover all businesses and establishments, including city government schools and offices. “It prohibits business establishments from providing any customer any plastic bag or polystyrene foam container for goods or items purchased, or serving food or drink, take out or dine in, to customers in polystyrene containers or in plastic bags,” the Courier writes. The establishments will also be required to provide paper bags or reusable bags or containers made of biodegradable materials, either for free or for a cost. Customers can also, of course, still bring their own bags (except plastic bags). Good job to Baguio City for this initiative! We’re hoping more cities all over the country will follow suit (with strict implementation, too).